Inflation stays below target - but for how long? Inflation remains below UK government's target but upcoming pressures are likely to raise the rate in the near future. 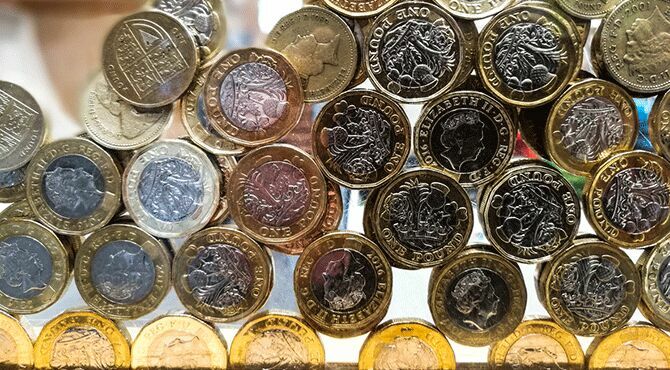 The UK inflation rate inched up last month amid rising food prices but remained below the government's two per cent target, according to official data published on Wednesday. The Office for National Statistics (ONS) said the Consumer Prices Index (CPI) rose to 1.9 per cent in February, up 0.1 per cent on January. However, under the ONS's preferred inflation measure, which combines the CPI with housing costs, the index held steady at 1.8 per cent.Mike Hardie, ONS head of inflation, said, "The rate of inflation is stable, with a modest rise in food as well as alcohol and tobacco offset by clothing and footwear prices rising by less than they did a year ago. "Although the pick-up in the CBI was small, the trend suggests the Bank of England could raise base interest rates later this year, according to Yael Selfin, chief economist at KPMG UK.“Solid wage growth and minimal spare capacity could encourage the Bank of England to raise rates once more by November this year to one per cent," she said. “Strong services inflation compared to goods inflation point at the simmering inflationary pressures as a result of rising wages and the record tight UK labour market.”Our expectations are for inflation to average around the Bank of England’s target this year but to rise further in 2020, putting pressure on them to act more aggressively than markets currently anticipate. "Ruth Gregory, senior UK economist at Capital Economics, felt inflation was unlikely to stay below two per cent for long and said February's rise marked "the start of an upward trend which could see inflation reach 2.5 per cent by April".Suren Thiru, head of economics at the British Chambers of Commerce, commented, “Inflation is likely to drift higher in the coming months as the expected increase in Ofgem’s energy price cap in April enters the calculation. "Businesses also continue to report that the cost of imported raw materials are rising. As these high input costs filter through supply chains, they could increase the upward pressure on consumer prices in the short-term.“Overall, the UK’s weakening economic outlook is likely to ensure that any increase in consumer prices would be largely transitory, and inflation is expected to remain close to the Bank of England’s two per cent target for some time to come.“With the current trajectory for inflation largely benign, there remains sufficient scope to keep interest rates on hold through this year, particularly against a backdrop of increasing anxiety over Brexit and slowing economic growth.“The overriding priority must be for parliament to avoid a messy and disorderly departure from the EU, which would likely drive a marked drop in sterling and could significantly increase inflation and the cost pressure on businesses and consumers.”Other ONS data published on Wednesday showed that, year-on-year, house prices in the UK rose by 1.7 per cent in January, the smallest increase since June 2013. The slowdown in growth was mainly attributed to a 1.6 per cent annual decline in London, where prices are now 3.3 per cent below their June 2017 peak.